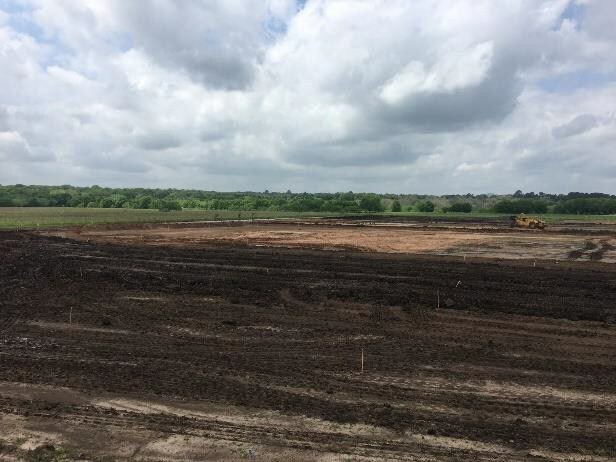 Smithville ISD will post updates in this location as construction on the multi-purpose athletic complex and the new junior high campus begins. 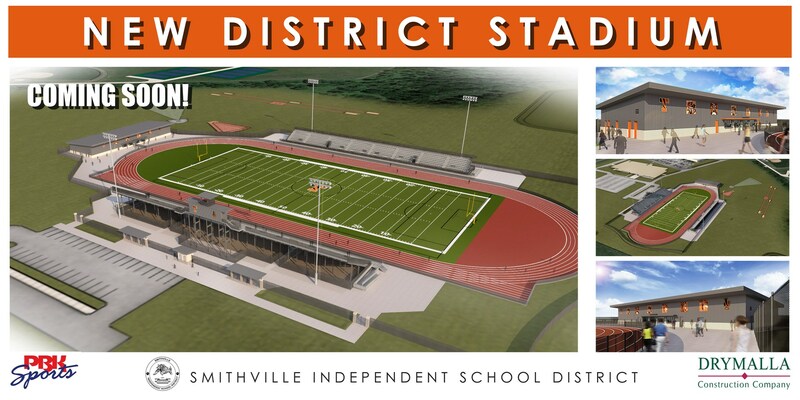 Architectural rendering for the multi-purpose athletic complex with concession and restroom facilities. Exterior masonry installation is ongoing. Exterior masonry installation has commenced. Stage area interior gypsum board installation is ongoing. Entry canopy framing installation has commenced. Interior CMU insulation has commenced. TIGER letters have been installed. Engineering team reviews drainage on site. Structural frame installation is wrapping up. All punch lists have been transmitted to Drymalla. Football practice on the new field. JH Framing, MEP rough-in, and gyp top out. JRHS Framing, MEP rough-in, and gyp top out. Stadium drive and striping installation is wrapping up. JH steel erection is ongoing. JH erection and wall panel installation is ongoing. 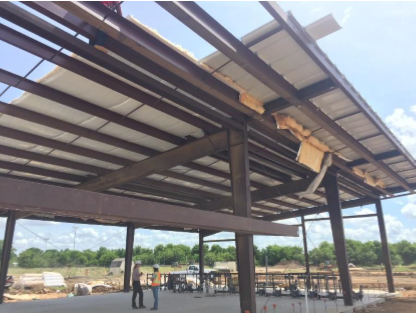 JRHS framing and mechanical installation. Steel erection is ongoing. Insulation staged for installation. 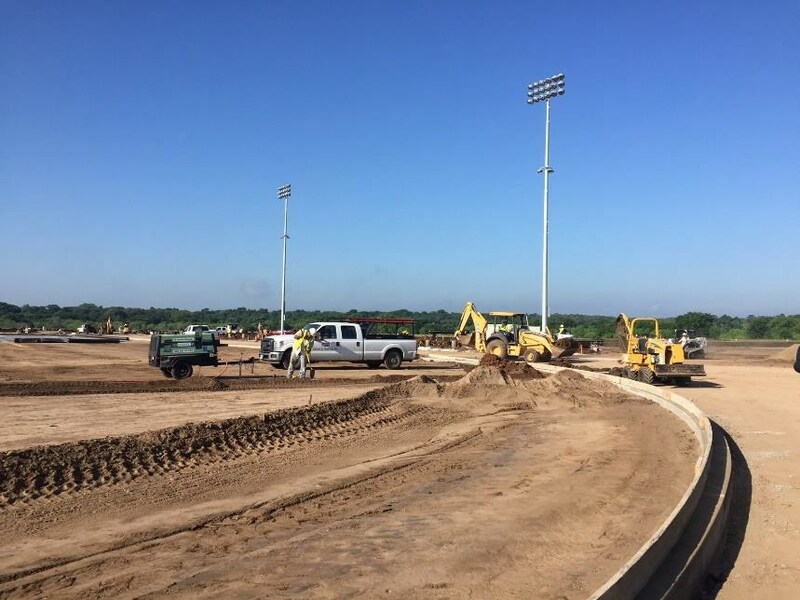 Track surface installation is ongoing. Masonry veneer and metal panel installation is ongoing. 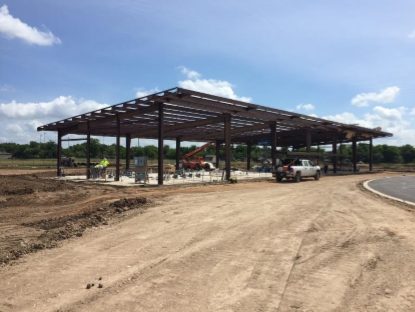 Area A steel erection is ongoing. Running track installation has commenced. Base layer is shown above, which is not the final track color. 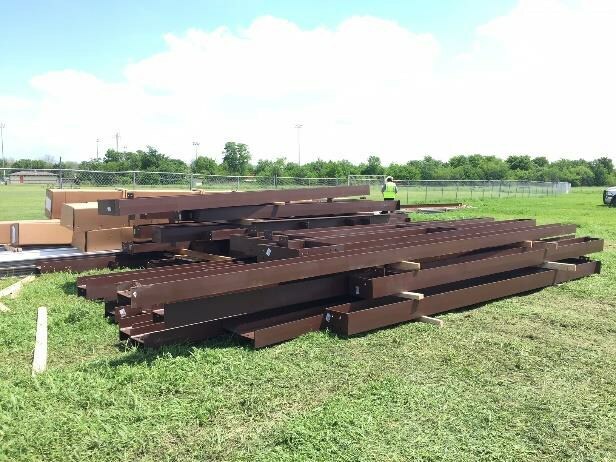 Area A steel erection has commenced. Preparing for Area C concrete placement. Chair back seat installation is wrapping up. 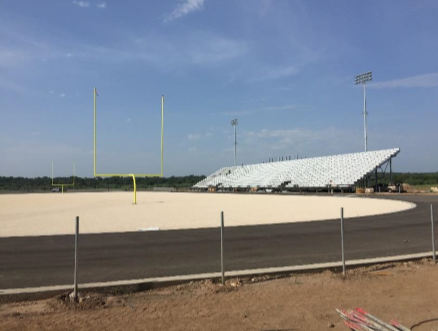 Turf installation is nearing completion. Turf installation is wrapping up. 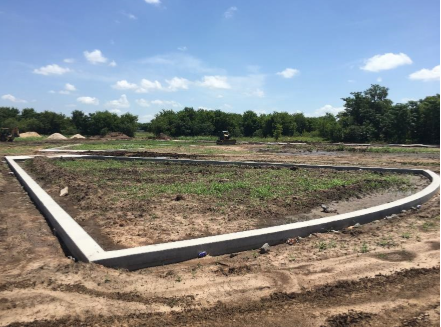 Foundation / slab installation is ongoing. 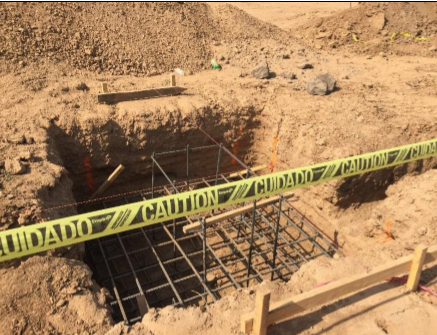 Foundation footing and grade beam excavation is ongoing. Grade beam excavation has begun at the Junior High School. 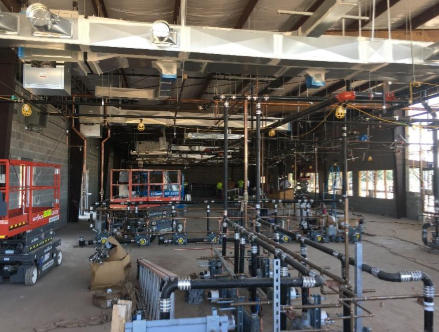 MEP installation is ongoing at the Concession Building. Rain has hampered site access. 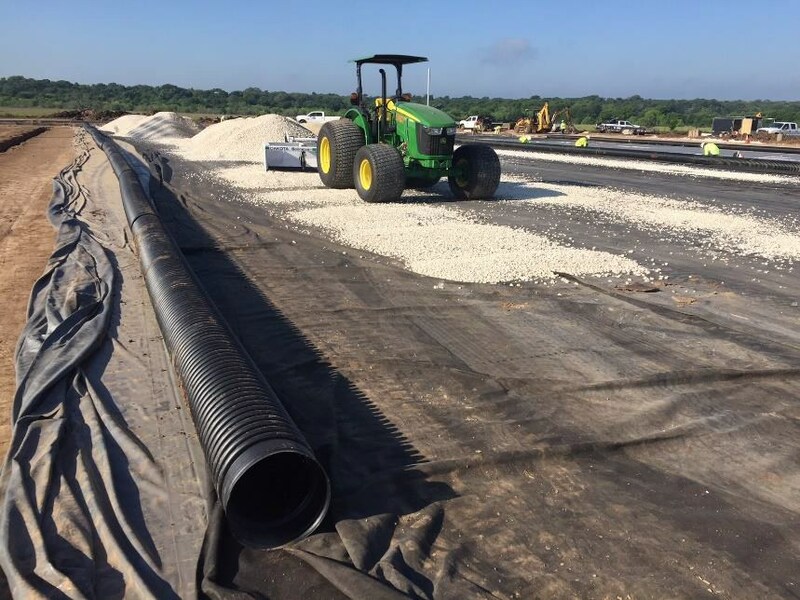 Building pad installation has wrapped up. Concession Restroom building plumbing rough-in. 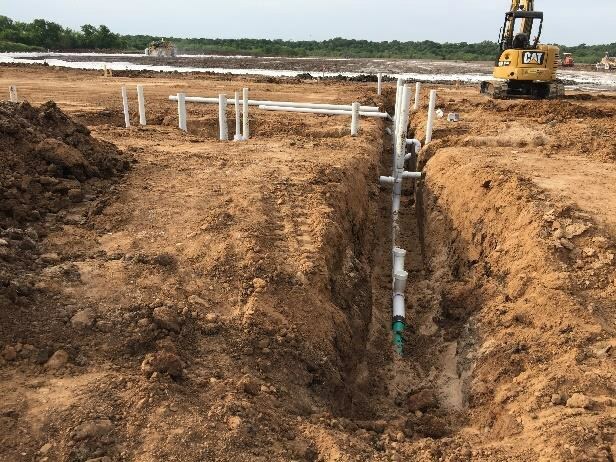 Site drainage underground utilities installation is ongoing. Concession Restroom building structure erection is wrapping up. Concession Restroom building roof panel installation is ongoing. 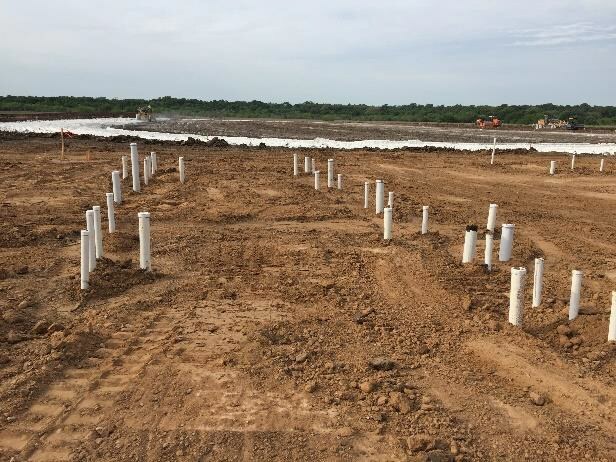 Update on construction: earthwork is ongoing, underground utility installation is ongoing, and field drainage and track curb installation has commenced. Ticket booth foundation reinforcing has been installed. 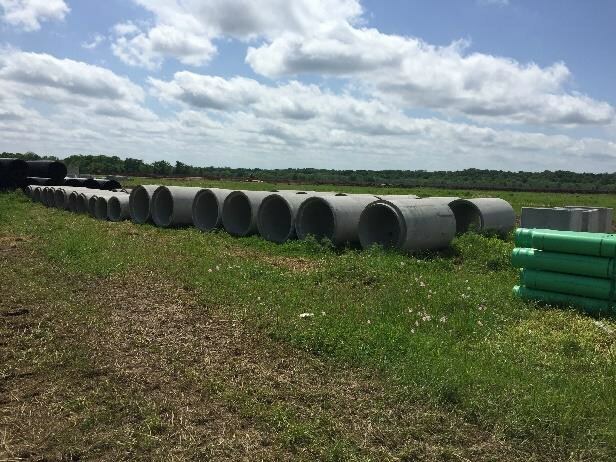 Water line installation is ongoing. Concession Restroom building slab pour. 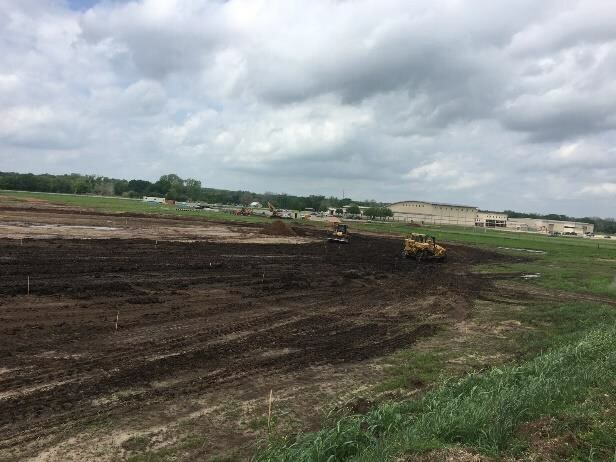 Athletic field fine grading is ongoing. High School driveway connection construction has commenced. 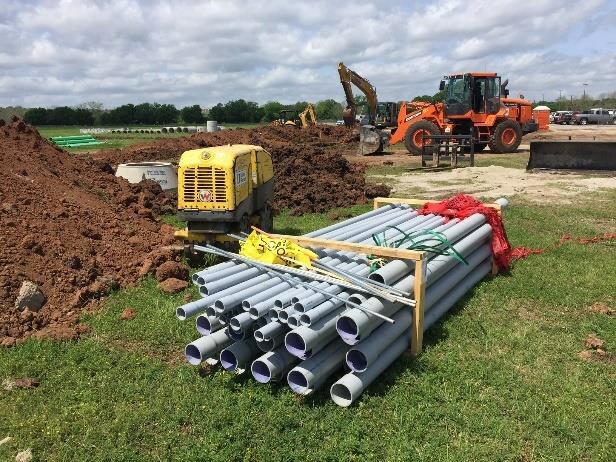 Concession restroom building plumbing rough-in and foundation form installation is ongoing. 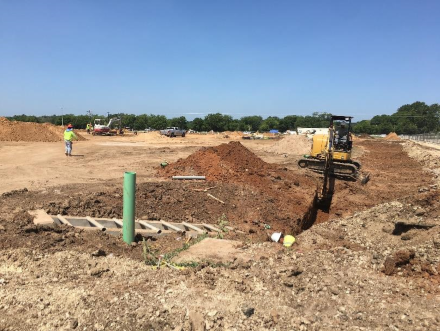 Update on construction: earthwork and underground utility installation is ongoing. 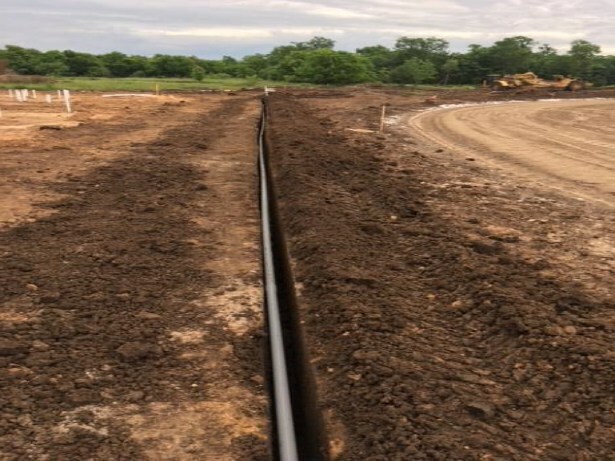 Water line installation near Concession-Restroom Building. Concession building foundation pad installed. Site utility materials staged on site. 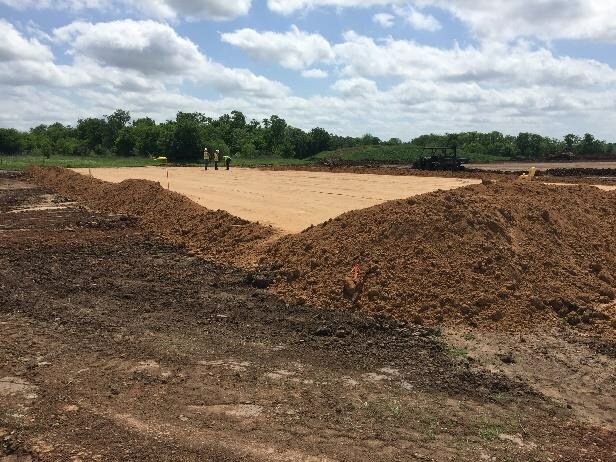 As can be seen by the photos earthwork is in progress. 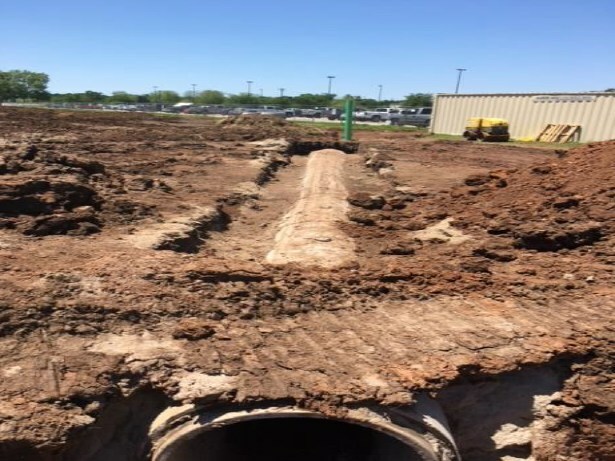 Underground utility installation is ongoing and the building pad installation is wrapping up. 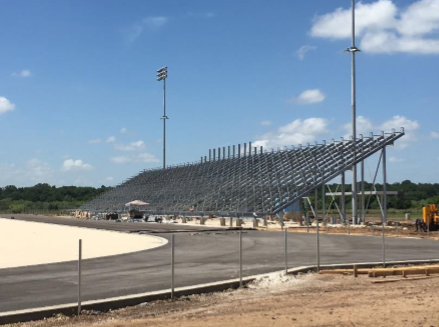 Moving into the next couple of weeks work will continue on the detention pond, installation of piers for the bleacher installation will begin as will the rough in of slab at the concession stand.